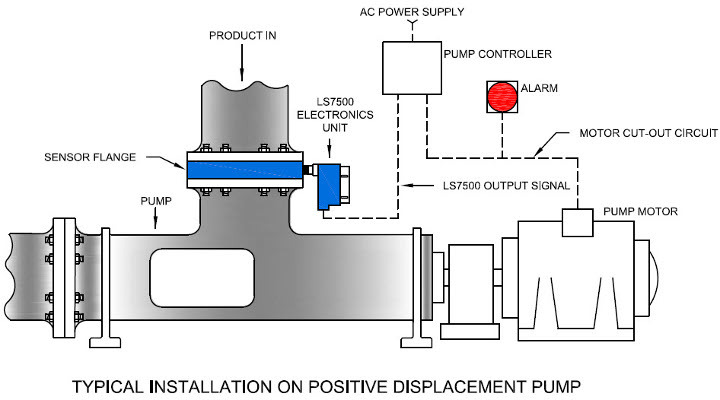 Babbitt Presence/Absence switches offer a unique design that allows obstructionless detection of liquids and solids in all types of process systems. These units are especially ideal for run-dry protection of positive displacement pumps. Babbitt LS7500 & LS8500 presence/absence switches are designed to be installed in virtually any type of pipe where an un-restricted flow is desired. Mounting in a vertical pipe is preferred in order that residue material drain away from the sensor. However, operation in any position is possible. Flange sensors are available in two distinct models depending upon the industry application. The first model is a partial ring sensor and is suited for conductive materials such as sewage, brine and acids. The other model is a full ring sensor, which is better suited for non-conductive materials such as solvents, hydrocarbons or dry products. These model sensors are available in standard pipe sizes ranging from 2 ½” to 12 inches. Standard flanges are 150 lb. 316SS flat-faced. Connection is typically made with flat-faced flanges and full-faced gaskets. These sensor models are also available in Sanitary Tri-Clamp connections ranging from 1” to 4”. Refer to the last page for complete sensor specifications and ordering information. 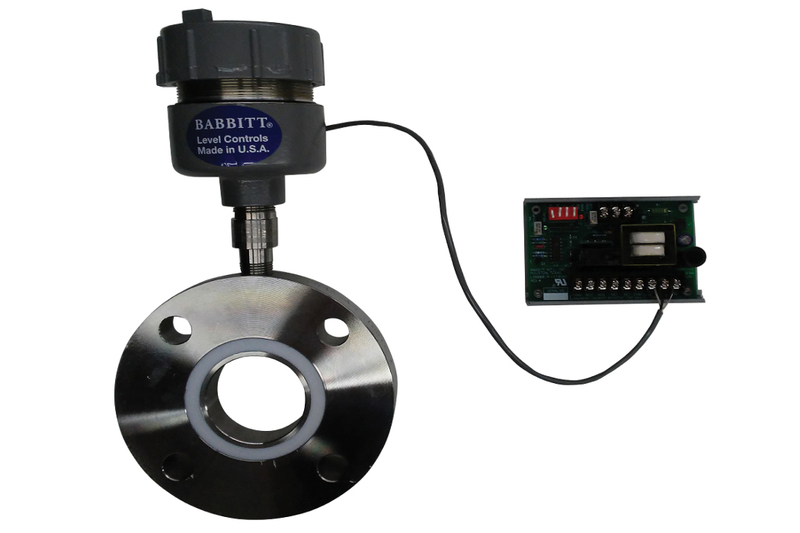 The Babbitt LS7500 is composed of an electronics unit housed inside a cast aluminum, explosion proof enclosure and an integrally mounted sensor flange. The LS7500 has all the features of our LS7000 RF Level Switch, including adjustable time delay, built in fuse/surge arrestor and on-board test switch. Time delay functions allow the user to avoid unnecessary shutdowns caused by momentary voids which may appear in the process stream. 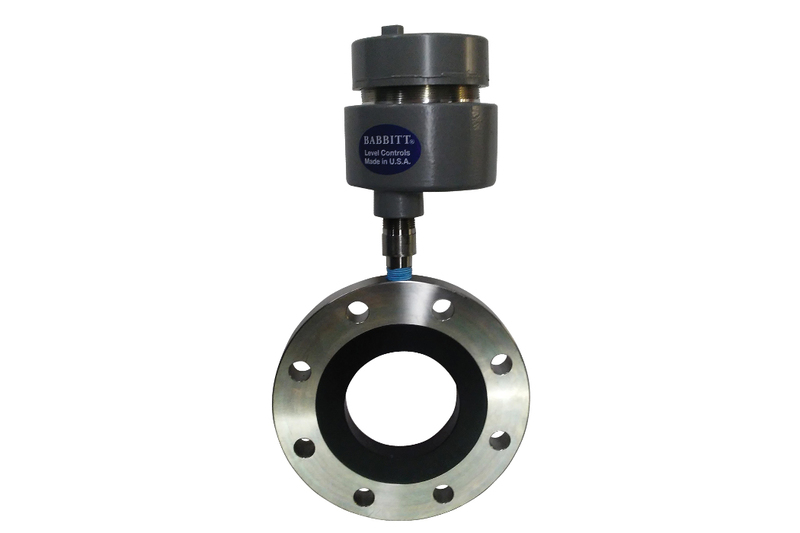 The Babbitt LS8500 is composed of a transmitter housed inside of a cast aluminum, explosion proof housing which is mounted to the sensor flange. The electronics receiver card is separate and can be mounted up to a mile away. The electronics receiver card has all the features of our LS8000 RF Level Switch, including adjustable time delay and built in fuse/surge arrestor. The electronics receiver card comes standard on a snap track, but can be mounted in an optional NEMA 4 or Explosion Proof Enclosure. For more information on Presence/Absence switches, specifications and ordering information, click here to download the PDF.